The Origami Pendant has a unique look a is crafted of faux silk. 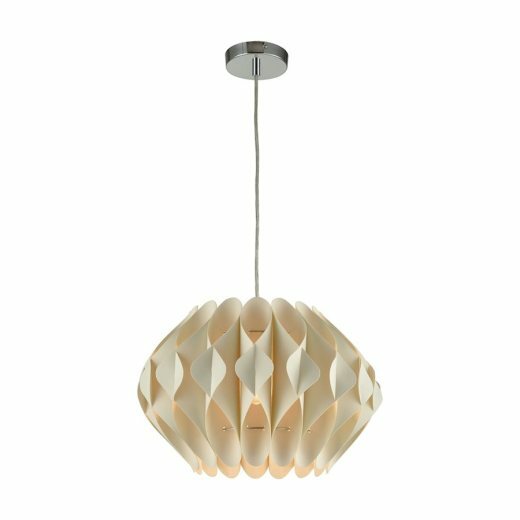 This multidimensional pendant will add a chic modern vibe to your space. Features 1 100W medium base bulb.